This entry was posted in Python and tagged Conversion, ImageMagick, JPG, PDF, Python, PythonMagick, Wand by clubdebambos. Bookmark the permalink. Am able to use the convert command line utility to do the convert without issues. The configuration files are usually at C:\Program Files (x86)\ImageMagick-6.9.7-Q8 (for my instance), check that delegates.xml is in here. you might get some answers. I originally went through the process in this post a couple of times with ImageMagick downloads, completely uninstalling the failed attempts until I got one to work. I’ve used it a lot of times since so it was worth it. My delegates xml file is in C:\Program Files\ImageMagick-7.0.5-Q16. The convert program works well from command line. I tried -debug configuration option and it showed me that it is checking in the above directory for delegates.xml. Not sure why Python code is having an issue. Any way to debug the python process? Only when I do this am getting error. I actually need to set the density as the default density is too poor to do anything with. Is there a way I can change the default density being used? This would help me to use Image(input_pdf) and still get my expected result. Yes! thanks dude. I’m using python 3.6 via Anaconda/Spyder 64 bit on Windows 7 and after banging my head against the wall for 48 hours with various combos of Wand, ImageMagick and GS this finally worked! 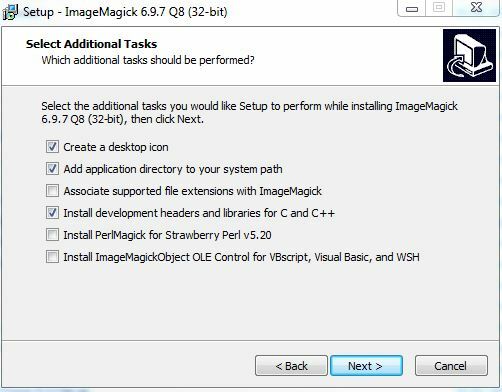 My working version uses ImageMagick-6.9.8-9 for 64 bit, which I had to search for a while to find since they only offer version 7+ on the official site. I did this originally because forums told me that Wand wasn’t ready for version 7 yet, so newer versions may also work. And then for PythonMagick I used the most recent version for python 3.6/64 bit. Your post was a godsend. Thanks for taking the time to share! can u plzz tell me what was your GS version…? Thank you so much for posting this. It worked perfectly. Thank you very much for this post. Works beautifully for first page, but the remaining pages from pdf are missing. Can you please help? Any thoughts what could be going wrong? DJ, you got this issue resolved? I am getting similar for img.density(‘300’).